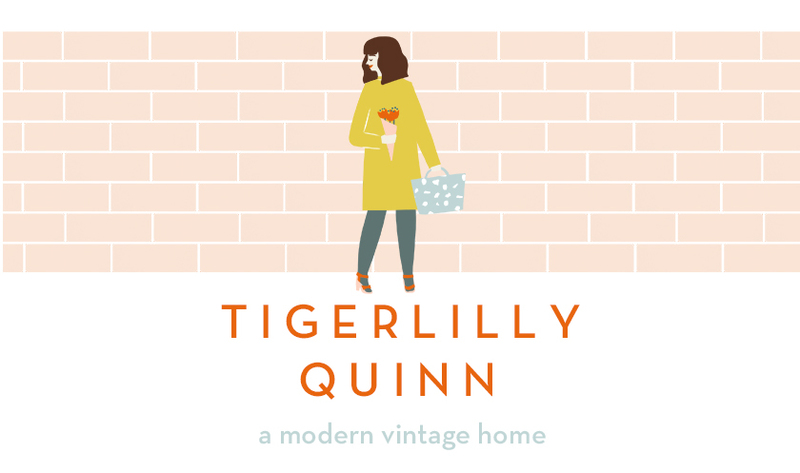 Hello lovely Tigerlilly Quinn readers. 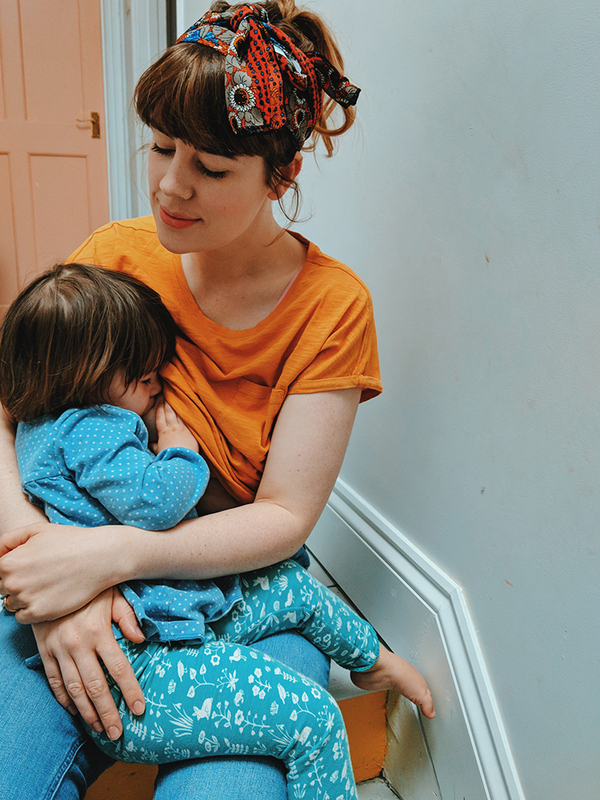 I'm Elena and I can be found wandering around Randomly Happy blogging about sewing and making DIYs alongside general adventures. 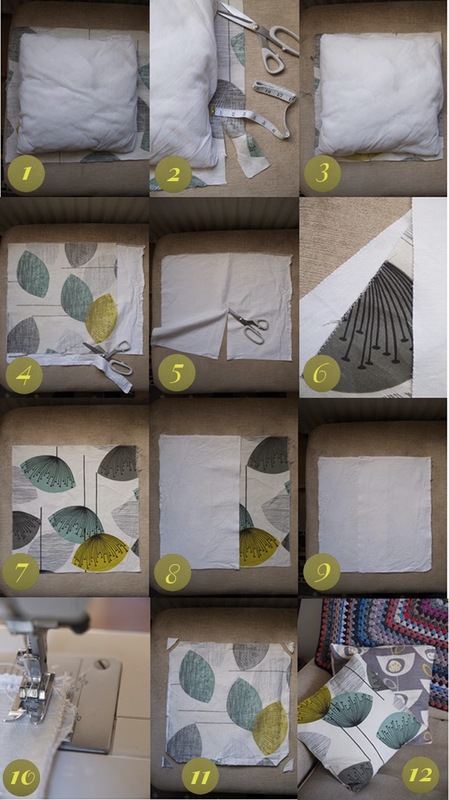 Today I wanted to share with you one of my all time favourite sewing tutorials. These cushion covers are extremely simple and perfect for beginner sewers hoping to inject a bit of sass into homes. I've printed a favourite saying on this, but you can use any fabric you have lying around. 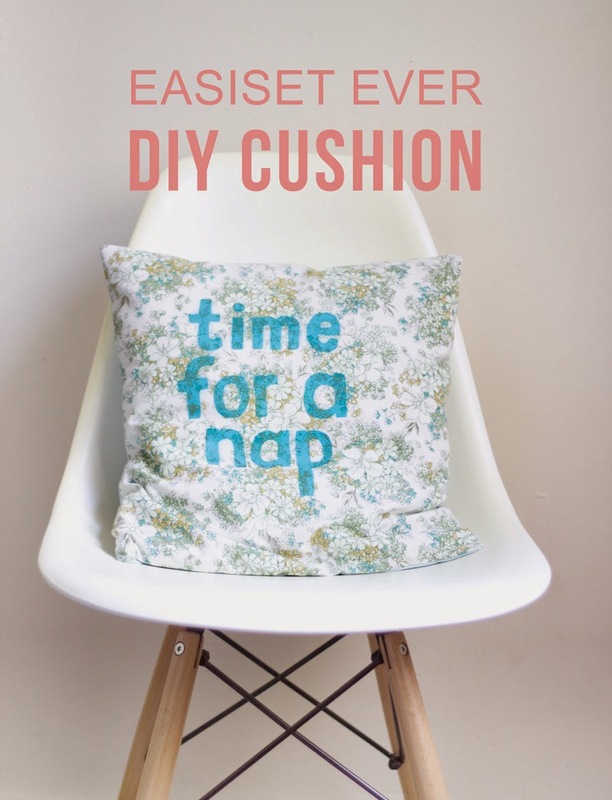 Follow these easy instructions to fill your home with cushion-y goodness and let me know how you get on! 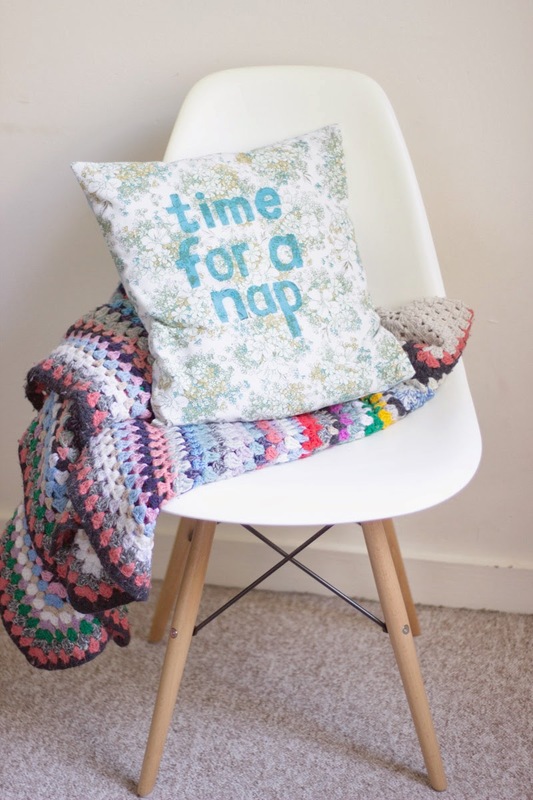 Click below to see how to make this super easy cushion cover! 1. Lay your pillow on top of the fabric you'll be using for the front panel. 2. Trim around the outside of the pillow, leaving 1 inch of fabric from the edge of the pillow. 3. Do this all the way around your pillow. It looks quite small, but a snug fit makes for a more plump pillow. 4. Lay your the fabric you've just cut for the front of the pillow on top of the fabric you'll be using for the back. Line up one corner. Trim off the excess at the bottom, BUT LEAVE THE EXTRA BIT OF FABRIC AT THE SIDE. 5. You should be left with a rectangle of fabric to form the back of the pillow. Cut this in half. You should now have two back pieces of fabric. 6. Zigzag all the edges to stop the fabric from fraying. 7. Lay the front part of your fabric face up. 8. Take one piece of the back fabric and line this up to two corners of the pillow. 9. Take the other piece of back fabric and line this up with the opposite two corners of the pillow. Pin all of this in place. 10. Sew all the way around your pillow. I sewed at 6/8 inches or 2 cm on my machine. 11. Trim off the corners to get nice clean edges. 12. Turn the pillow inside out, stuff in a pillow... now lounge! You do make it sound very easy! Sewing is definitely a skill I would like to learn. This looks like a great starter project! I'm loving the fabric with the leaves. So pretty. I'm rubbish when it comes to sewing...anything other than a button and it's shipped off to Mum for mending...but you've made this sound really straight forward! Lovely cushion! You can even make it with one long piece, which is even easier - but it wouldn't work if you didn't have sufficient patterned fabric. It works like a pillow case. 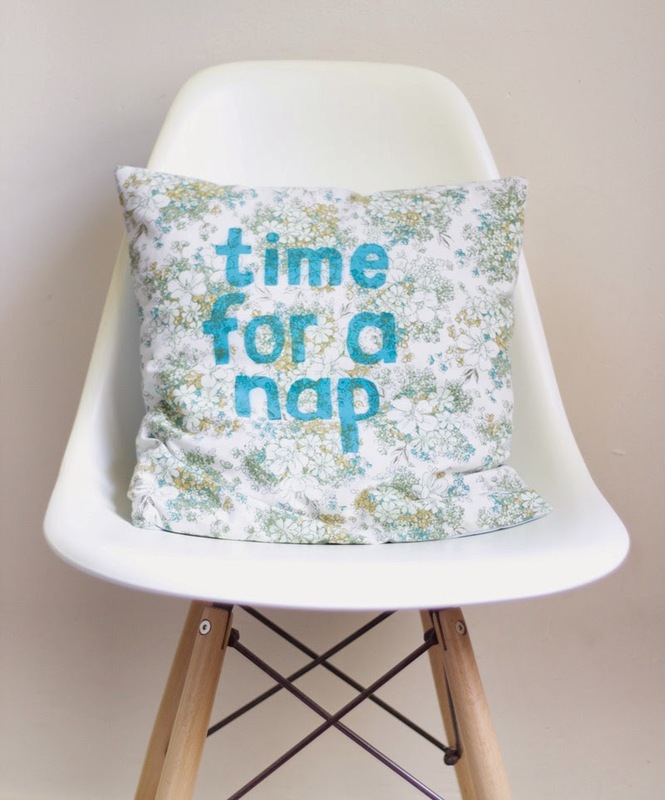 This style of cushion was the first thing I made with my new John Lewis mini sewing machine. I can confirm that it is simple and also, mega satisfying as you will finish it in no tim! You say it's the easiest thing but for the not-so-crafty of us it looks like art! Well done, wish I was more craft endowed! ooh how beautiful I feel inspired to sew ! The English Garden - it's so lovely and colourful. Loving it. Would love to make one myself! Ooh lovely, thanks for sharing. Lulu Floral is my favourite - so fresh and pretty! I love cushions and especially quirky ones but they are often very expensive to buy. I should definitely make my own. really is the easiest! i'd like to get rid of a couple old cushions, so maybe i should give this a go. The rugby stripe bedding. Perfect for either of my teenage boy. they are all lovely but my favorite is the Joules Coastal Boats Bedding. Coastal Birds is just great. i love the english garden one, its very fitting for my cotswold cottage! I need to get better at sewing and would love to make cushions, so will be taking notes carefully. I keep putting clothes I want to upcycle into cushions. There really is no excuse after looking at how easy it is! 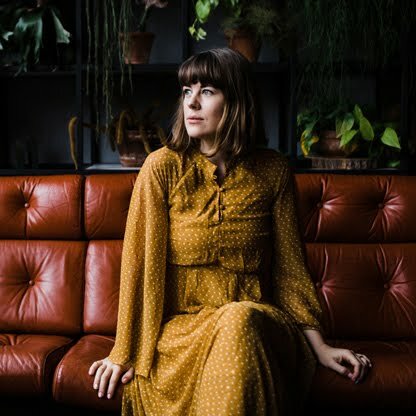 Loving checking out Elena's blog! I love the Sunbird Floral Bedding. The sunbird floral is lovely. I didn't pick the coastal birds as we live at the seaside and the birds are a pain! The Sunbird floral set is gorgeous. Joules Lulu Floral Bedding - can't find any Joules bedspreads!